With the Senate filing deadline past us, we are now getting more bills filed in the House as their deadline comes up in just a few weeks. Tuesday, Representative Avila filed House Bill 399 Young Offenders Rehabilitation Act or Raise the Age. She hosted a press conference with several bill sponsors which can be viewed online, here. We are excited to see this bill- one on our legislative agenda being filed with bipartisan support. Additionally, legislators continue to discuss funding for mental health services in incarceration facilities- another agenda item and one priority from Social Work Advocacy Day. As bills get filed and things move along, both the House and the Senate plan to take this week off as Spring Break. SB 550/HB 348 NC Religious Freedom Restoration Act: NC’s very own religious freedom bills that have sparked massive controversy in Indiana and Arkansas. The bill protects anyone providing claim or defense of religion under state law. Yes, this means the right to discriminate in any manner under religious freedom. SB 582 Third-Party Premium Payments: The bill would allow the American Kidney Foundation to continue to directly pay premiums to insurers, helping these individuals to maintain their health insurance. HB 399 Young Offenders Rehabilitation Act: Raise the Age- this would create a pilot program designed by the Juveniles Jurisdiction advisory Committee to raise the age for misdemeanors for 16 and 17 year olds. HB 406/SB421 Military Appreciation Month: Designates May as Military Appreciation Month on behalf of the 800,000 veterans in our state, 106,400 active duty personnel, and 12,000 members of the NC National Guard. HB 407/SB 423 Foster Care Family Act: this is the Senate companion bill filed last week by Senator Barringer. It would create liability insurance for foster parents, remove barriers to children getting drivers licenses while in foster care and provide them with insurance, and to study a Medicaid waiver for children with serious emotional disturbance. HB 408 Adoption/Post-Adoption Services Study Committee: This bill establishes a joint legislative committee to study adoption and post adoption services. One of the appointed members has to have a Bachelor’s or Master’s degree in social work. HB 413 Expand Grandparent Visitation Rights: This bill would allow for extending visitation rights to grandparents. HB 417 Mental Health Workers’ Bill Of Rights: This bill of rights outlines that mental health workers have the right to a safe workplace, adequate staffing levels, the right to refuse excessive overtime, and more. HB 424 Fostering Success: This is the House companion bill to the Senate bill filed last week. This bill extends foster care to age 19 and allows for the Social Services Commission to adopt rules to implement this change. HB 443/SB 612 Nondiscrimination In Public Employment: This is another companion bill to the Senate bill filed a few weeks ago. The requires the State Human Resources to include sexual orientation and gender identity or expression as classifications covered under the State’s Equal Employment Opportunity Law. HB 451 LRC/Study Suicide Prevention: This bill directs the Legislative Research Commission to examine ways to prevent suicide among minors, veterans, and emergency responders in NC. HB 465 Clarify & Modify Certain Abortion Laws: This bill is another attack at women’s health. Doctors working for the medical schools at the University of North Carolina at Chapel Hill or East Carolina University would be prohibited from performing elective abortions under the bill. It would also prohibit training of doctors to perform the procedure. Additionally, it would also require women seeking abortions to speak with a doctor or other “qualified health care provider” three days before undergoing the procedure, tripling the state’s 24-hour waiting period. HB 525 Medicaid Modernization: One more Medicaid Reform bill! This bill creates a Health Benefits Authority to be overseen by a board on behalf of services for Medicaid and NC Health Choice. The bill establishes full-capitated health plans to manage and coordinate care for all recipients. HB 556 Achieving a Better Life Experience Act: This bill, also known as the ABLE Act, would create tax-advantaged savings accounts for persons with disabilities. The law would allow creation of “ABLE accounts,” which resemble qualified tuition programs, often called “529 accounts,” that have been established under that section of the tax code since 1996. The maximum annual contribution to an account would be set at $14,000 with a principal cap of $100,000. Earnings and distribution on ABLE accounts would be tax-exempt. This bill has already been filed in the Senate. HB 580 Ban Smoking In Foster Care Setting/Infants: This bill would direct the Social Services Commission to adopt policies prohibiting foster care parents from smoking in the presence of an infant in a foster home. HB 589 LRC/Reevaluate Immunization Requirements: This bill directs the Legislative Research Commission to study current laws regarding immunization and their effectiveness to protecting public health. This bill was filed in response to the Senate bill that was pulled last week that would have removed religious exemptions from getting immunizations. HB 596 Reproductive Health & Safety Educ. Revisions: This bill would revise accepted materials for health education and prohibits teaching about drugs which may cause abortions during reproductive health education. HB 195 Allow Substitution of Biosimilars: The bill allows for pharmacists to give substitution of an interchangeable biological drug. Biosimilars cover the same function but are not chemically identical. If interchanged, the pharmacist has to contact the patients doctor to notify them. For more information, click here. The hope of this legislation is to help save patients and health plans money on prescribed medication. This bill passed the House and now goes to the Senate. HB 146 Amend Advance Health Care Directives Laws: This legislation attempted to make getting health care directives easier by obtaining a notary OR two signatures instead of both by current law. The House failed the measure and is considered dead for the legislative session. SB 346 Enact Stricter Immunization Requirements: This bill would have required all children entering school in North Carolina to have had all vaccines on the schedule recommended by the federal Centers for Disease Control and Prevention. The only exemption granted would have been for medical reasons with a doctor’s approval. However, bill sponsors killed the bill this week among controversy. April 14th, NAMI-NC Tell your story Tuesday. Register online! April 21st, Rescheduled Women’s Advocacy Day. Register online! Kaye, what about bill 582, which affects dialysis patients as the American Kidney Fund assists with healthcare premium payments? Some insurance companies no longer want to receive payment directly from AKF. This bill would require them to accept direct payments. JoAnn, That is one on this list- the second one listed under relevant bills filed. It is one we are following. Let me know if you have specific thoughts or concerns about it! My email is advocacy@naswnc.org. Thanks! We always appreciate input! 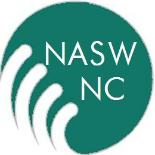 This entry was posted on April 6, 2015 by naswnc in Blog Posts by Topic and tagged Advocacy Update, macro practice, macro social work, naswnc, NC Social Work Advocacy, NCGA, NCPOL, social work.